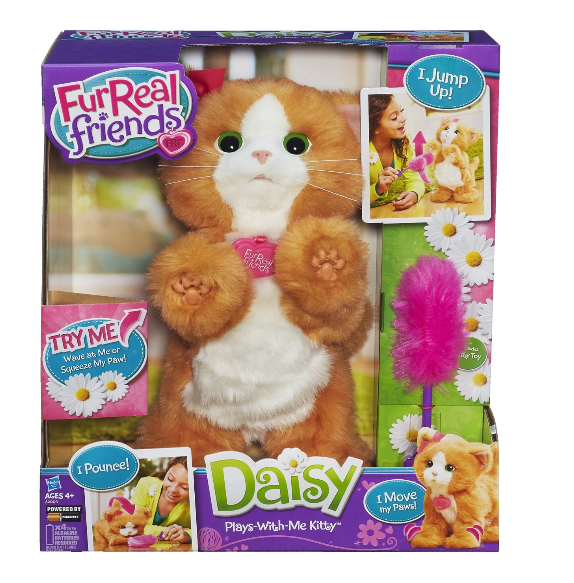 FurReal Friends Daisy Plays-With-Me Kitty Toy Just $19.00 + FREE Prime Shipping (Reg. $50)! You are here: Home / Great Deals / Amazon Deals / FurReal Friends Daisy Plays-With-Me Kitty Toy Just $19.00 + FREE Prime Shipping (Reg. $50)! Hurry!! Right now you can get this FurReal Friends Daisy Plays-With-Me Kitty Toy for just $19.00 (Reg. $50)! I am buying this now and stashing it away in the gift closet for my 6 year old!